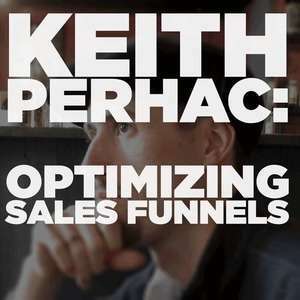 In this episode, I chat to Keith Perhac. Keith runs a successful marketing and optimisation agency in Japan. Alongside working at his agency Keith has been building a premium membership platform called Summit Evergreen. We covered the sales funnel (What is it and why do we care?) and how to optimize your sales funnel to get the most lifetime value out of your customers while providing the best experience. As we mentioned on pt.2 of our interview with Keith, Kurt & Keith will be doing teardowns (offering advice) on your Shopify site's branding and identifying conversion rate issues. We're pick 5-10 shops to discuss on an upcoming episode! Thanks, and looking forward to seeing all the awesome sites!